How to handle null in a list with Rxjava2? I´m using Room instead of classic sqlite statements now, and I´m having the following problems. When I open my "tags" Table, I´m getting the following error. java.lang.IllegalStateException: Migration didn't properly handle tags(de.yochyo.ybooru.database.entities.Tag). This is what my Tag class looks like. There are two problems. The column-name (which should be "creation") is Date and my date column cannot contain null. Fixed: "Expected" means that Room expected the table to contains those columns, "Found" are the columns in the database file. I referenced the link(Simple Android RecyclerView example) for make click events on items from Recyclerview. And then I apply this way to CardView from Recyclerview but I failed. OnClick event on ViewHolder doesn't work. It looks like codes are almost same. I don't know what is the problem. And then changed ArrayList to ArrayList Also, I replace xml which contains textview code with cardview. I successed the event when I put onClickListener on onBindViewHolder. But I heard it makes app heavier. So I want to avoid this way. I am creating an app and I want the user to be able to log in with Facebook so I can personalize the UI. I have followed the instructions and made sure to have the code running but Facebook does not allow the login so I believe I missed a piece of code and I'm out of ideas as to what that is. I wanted the facebook login to open when I clicked the fblogin button and it does. I then put in my credentials and click continue when prompted and it opens the login script instead of opening the new Activity. I think I have code looping somewhere and it won't release. What code have I missplaced and have I run some code should not be in the Class? There is a recyclerView that I want to change the AppCompatImageView when something happens. I have tried a lot of solution but none of them works and I also checked this link. As you see i have tried setImageResource and setImageDrawable in the onBindViewHolder. I am trying to implement the MVVM pattern in the current project. My code was working fine yesterday. When today I updated the Android Studio, the code started giving the following error. error: [Dagger/MissingBinding] java.util.Map,javax.inject.Provider> cannot be provided without an @Provides-annotated method. I have checked many solutions for this. Mostly were saying to use the @JvmSuppressWildcards in front Provider. But that is also not helping. I have a list of values and I going to print every element of it with Rxjava2 flowable. If there is null value, then, the program will print "it's empty value". I'm new in reactive rxjava, and I need some expert to guide me how to handle this scenario. I have a scenario that I need to check with database if the record is not exist then I have to save the record. But when I try deal with null value, I got the exception as I described above. Although, it was compiling without any problem . wich works fine - to say at least. Somebody out there who faced the same problem? I am trying to write a unit test for my database, but I am getting the following error. The error says that should not be a null value. Through the Log.i, I can know if variable count is a null value. But I don't know why the variable count was worth null. I have checked my sql queries in NoteDao. kt, but it looks like the problem is not from there. 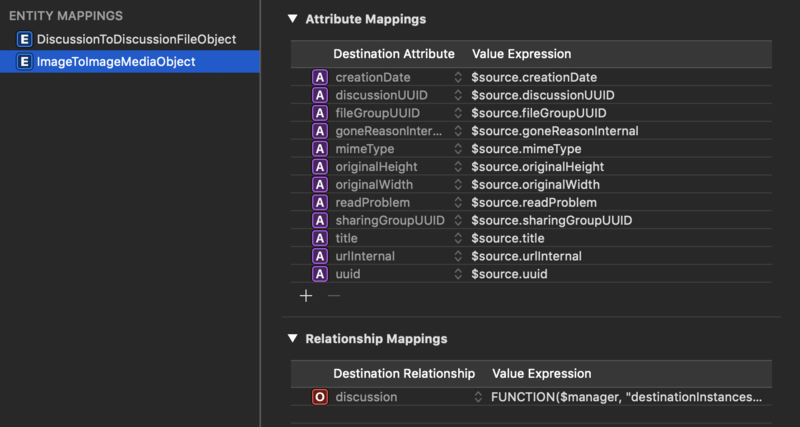 val TAG: String = "Junit"
val DATABASE_NAME: String = "AppDatabase.db"
Why the variable count in DatabaseTest.kt value is null? and how do I solve it? I'm observing a Room database table, which is saving data that comes from a web service. The problem is that I'm only receiving updates when inserting/deleting items. The behavior I'm expecting is to also receive updates when the property of an already stored object is updated, but the update is never triggered in those cases. Since is my first time experimenting with Architecture Component's LiveData. I'm not sure if this behavior is supported, and if it is what am I doing wrong. "Room knows when the database is modified and automatically notifies all active observers when the data changes"
The code for the repository. I'm using the helper class NetworkBoundResource to propagate network states. I am building an app that will rely heavily on user data and plan on using Room to help manage and store their information. However, while following a tutorial I ran into a few versioning issues that I was having troubles resolving on my own. I was confused by this since the tutorial uses a variable of some kind to determine the library versions. I ran the app at this point and it seemed to work fine so I continued. This is on top of errors that implementations of kotlinx.coroutines.experimental are obsolete, however, I couldn't find references to libraries without experimental using Android Studio's intellisense. What do I need to do in order to resolve these library issues and allow me to continue the tutorial?